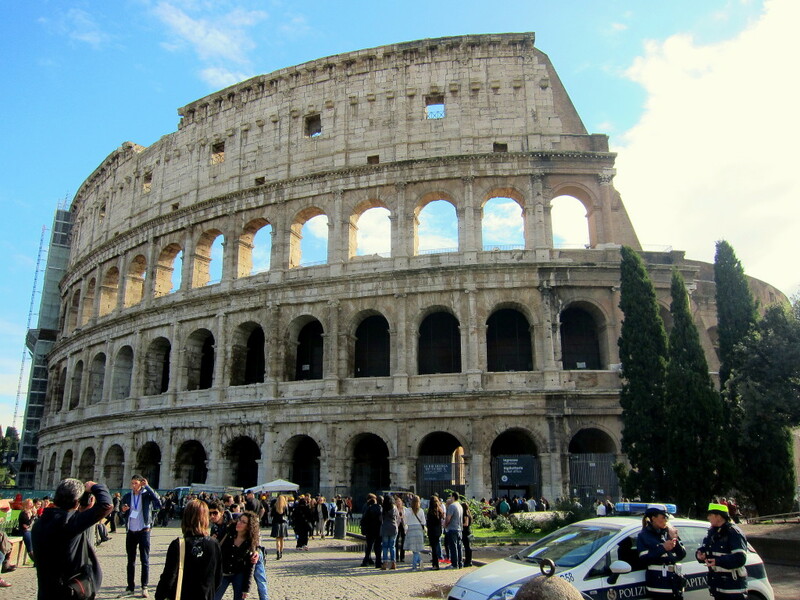 The few things that we reserved tickets for in advance for our Italy trips were Vatican City, the Colosseum and the Roman Forum, and the Accademia Gallery in Florence. We read about the long lines to get into each one and we were just not interested in standing in line for hours. Interestingly enough, there was no line at all for the Vatican City – we went in November on a Wednesday afternoon. We were still glad to have the tickets in advance just in case. 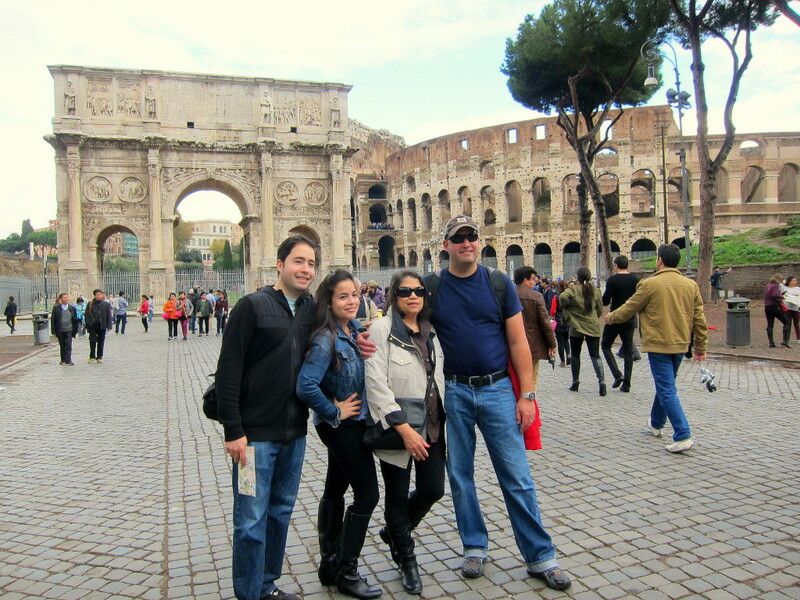 But the line for the Colosseum was HUGE!! There are two ways to get around this line. One: book your tickets in advance for a tour at a specific time. 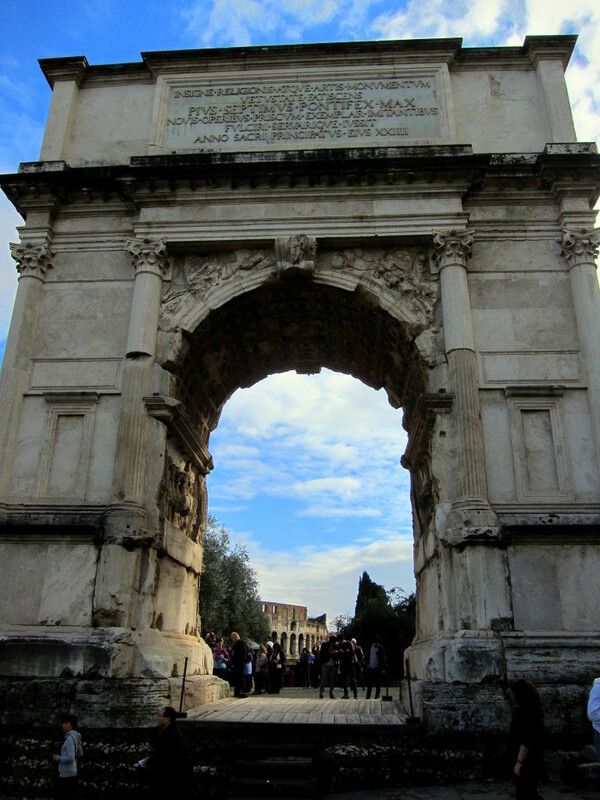 And two: Pick up your tickets at the Roman Forum entrance instead of at the main entrance for the Colosseum. We did both. We were able to pick up our tickets at the Roman Forum (the Colosseum and the Roman Forum are both included in the admission price), spend an hour at the Roman Forum, and then head over to the Colosseum just in time for our tour, walking several minutes past the huge line of people who didn’t do their research or didn’t plan ahead. 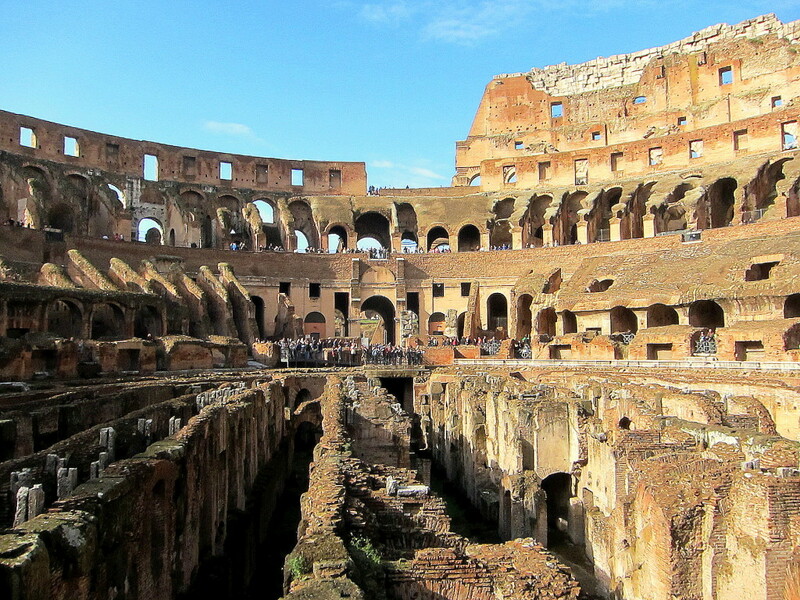 So before we go in to the Colosseum, I want to mention two major tourist traps in the area. There will be guys dressed up as gladiators all around the Colosseum asking to take a picture with them. If you take a picture with them, they will then demand anywhere from 20-40€ from you, depending on the size of your group. THAT IS INSANE! I don’t know what happens if you refuse to give them the money (probably nothing), but usually people are so confused by what’s happening they just hand over a 20€ bill without realizing what’s happening. So avoid those guys. The other tricky thing is the bathroom situation. On the map of the area, they make it look like the ONLY bathroom by the Colosseum is the paid bathroom (1.50€ per person) behind the Colosseum. The map looks like there is no bathroom inside. I refused to pay 1.50€ out of principle (I also didn’t have to go that badly), and when we got inside I saw that there was a free bathroom inside the Colosseum. That was definitely not indicated on the map, and that annoys me. 1.50€ is not a lot, but it feels like that was done intentionally. I felt victorious when I got to pee for free (which is how it should be with the price of admission). ANYWAY. 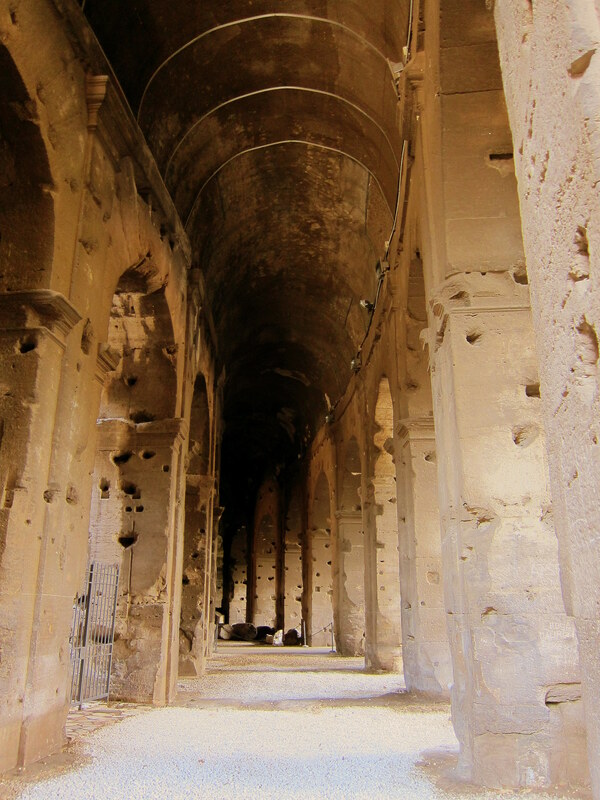 We got the Underground tour of the Colosseum, and we are so glad we did that. 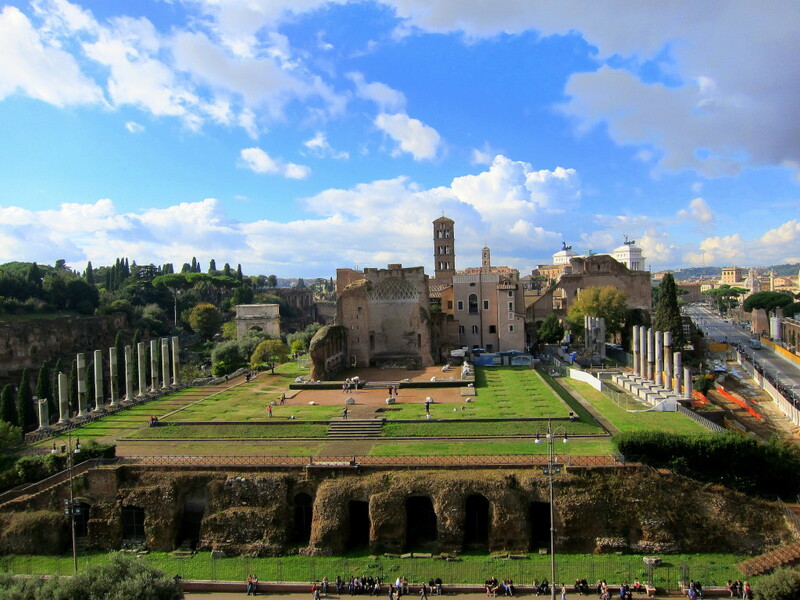 We would have known nothing about the dark, interesting history of the amphitheater if it wasn’t for the tour guide. 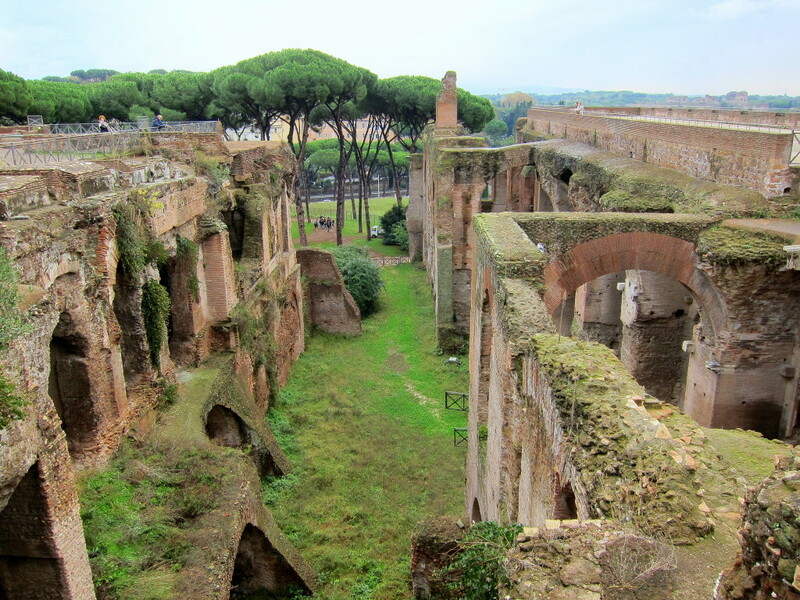 The tour also took us to a closed-to-the-public section of the Colosseum and we got to see the Roman Forum and the Colosseum from the very top. 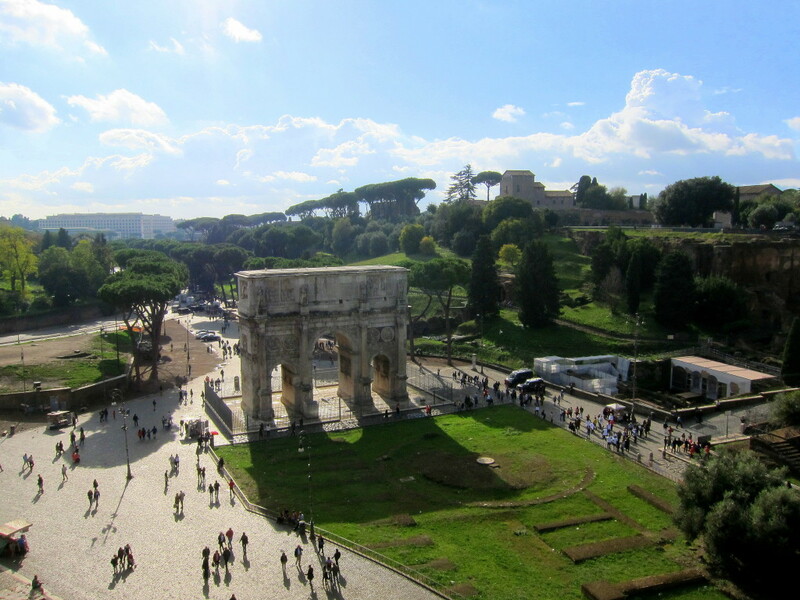 The very top of the Colosseum was actually the women’s, slaves’, and poor people section back in the day (since it was the farthest from the stage), but it was awesome for us to see Rome from the top.